The holidays are upon us and what better way to cultivate festive ideas for the season than by traveling east to Abu Dhabi and Dubai to discover the treasures of the land. 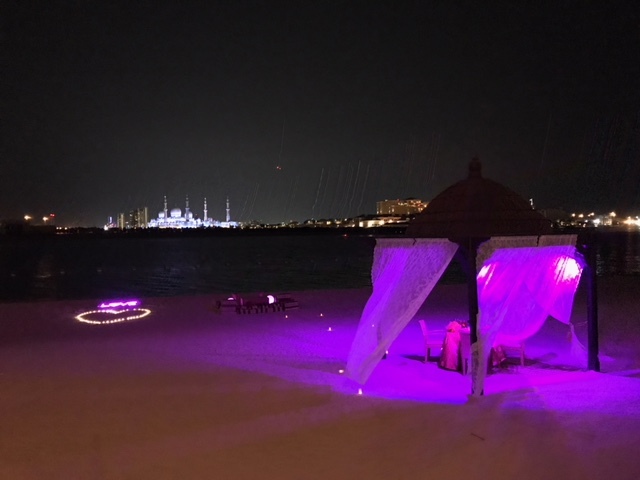 Our team of reporters left earlier this week to immerse themselves in the art, culture, and food of the Emirates. Starting with the new Louvre Abu Dhabi on Saadiyat Island designed by French architect Jean Nouvel. The museum officially opened on November 8th, as part of an agreement between Abu Dhabi and the French government to collect art from around the world bridging the gap between east and west. 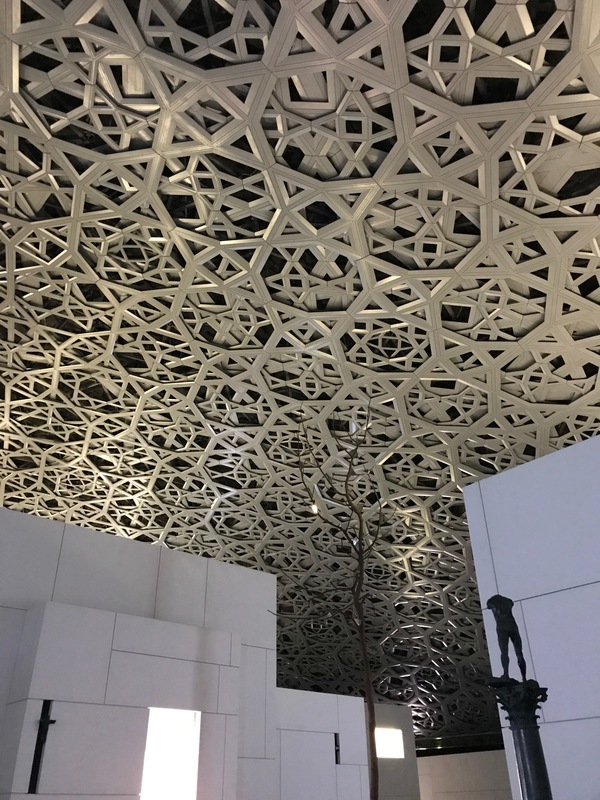 Here is a wonderful article from the Art & Design section of the NY Times by Holland Cotter entitled Louvre Abu Dhabi, an Arabic-Galactic Wonder, Revises Art History…. enjoy! 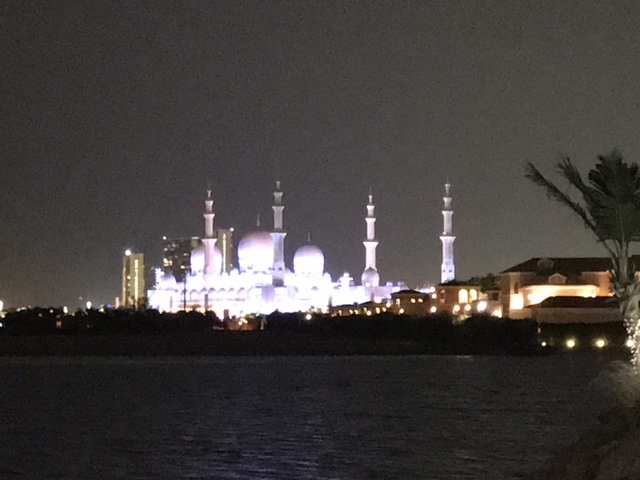 Photograph of the Grand Mosque taken from the Souk Qaryat Al Beri. Abu Dhabi is lively. So different from Dubai. Thank you for your most gracious words, and the UAE is always exciting to visit! The architecture is easy and complex simultaneously….it’s wonderful. It’s second to none!! The architecture is an inclusive part of viewing the gorgeous collection of art! The Louvre opened the same day I had to last leave Abu Dhabi. I am going back in April and am not going to miss it this time! Super excited. How wonderful you will return in April, my next trip is is 2020, and I cannot wait!! !